The top CIA official, who twice served as the acting director of the agency, and worked with Clinton while she was secretary of state, told PBS host Charlie Rose that Iran and Russia should “pay a big price” in Syria – and by that he meant killing them. You see, Michael Morell is a man of virtue: he calls for death and destruction in proper politesse. Heaven forbid he crack a rude joke. “We need to make the Iranians pay a price in Syria, we need to make the Russians pay a price,” he continued. Referring to the US-backed rebels in Syria, Morell said he wanted Washington to support them in more aggressive actions, not only against Bashar Assad’s government, but against Iranians and Russians. The former acting director of the CIA publicly endorsed Hillary Clinton last week through an opinion piece in the New York Times, praising her qualifications as commander-in-chief and calling her rival Donald Trump a threat to national security. 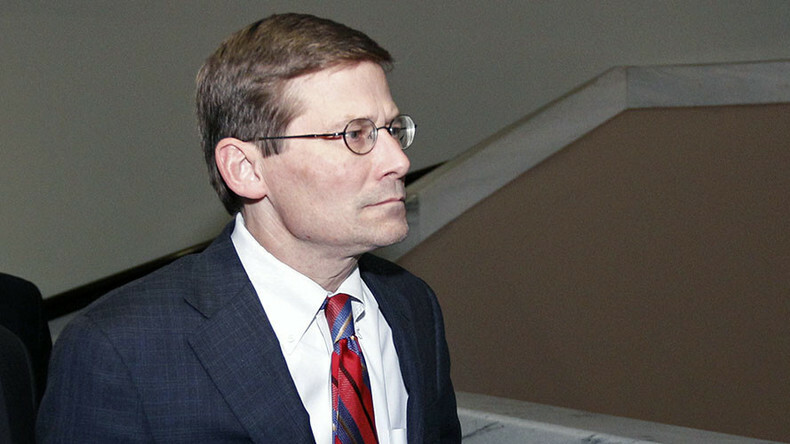 Morell: "Just like we made the Russians pay a price in Afghanistan"
After he retired from the CIA in August 2013, Morrell took a job at Beacon Global Strategies, a Washington, DC consultancy founded by Clinton aides Philippe Reines and Andrew Shapiro. There he worked with Leon Panetta, another Clinton aide and his predecessor at the helm of the CIA, who also spoke in support of Clinton at the Democratic convention in Philadelphia last month. Last year, Morrell apologized to “every American” and finally owned up to the “mistakes” made by the CIA in Iraq, where over 4,000 US soldiers and at least 250,000 Iraqi civilians have been killed since the 2003 US invasion.